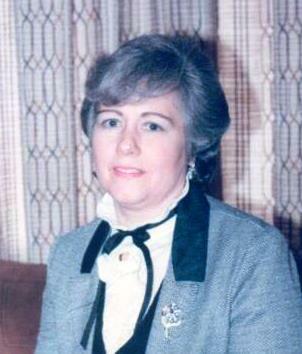 Jeannette M. (Landry) St. Amand 82 of New Bedford passed away, at her home, on Monday January 7, 2019. She was the wife of the late Daniel St. Amand and daughter of the late Armand and Vivian (Letellier) Landry. She was born in Gardner, MA and had lived in the New Bedford area for many years. She was employed by Bank of Boston, as a branch manager, until her retirement. Jeannette loved being with her grandchildren and great-grandchildren. She was a member of the St. Anthony’s Senior Club, The St. Mary’s Senior Club in Fairhaven, where she was a past president. She also was a member of the Ladies Auxiliary of the VFW post 5392 in Tiverton, RI, where she ran the senior dances. She also loved to cook, baking cakes, painting, going to her club meetings and making her own Halloween costumes for the downtown parades. Survivors include her children, David Jalbert and daughter-in-law Jo-Ann of New Bedford, Carol A. Foster of New Bedford and her step-son Wayne “St. Amand” Paulino of New Bedford. She is also survived by her brother, Richard Landry of New Bedford, her sisters, Alfreda Donth and her husband Fred of Fitchburg, Joann Glica of New Bedford and Debbie Kuykendall of Texas. 7 grandchildren, 18 great-grandchildren, many nieces and nephews. Her memorial visitation will be Saturday February 2, 2019 from 5-8pm. In lieu of flowers donations may be made to her clubs.